A co-worker, Tracey, taught me how to make granny squares. 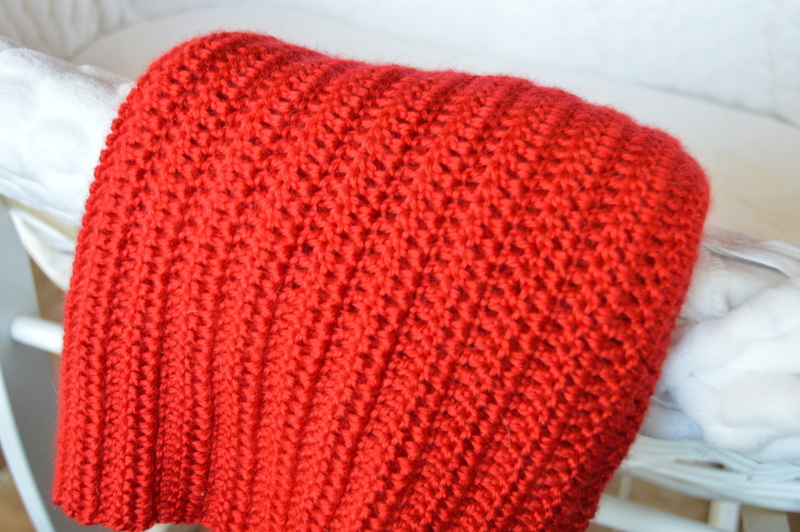 I then attached all of them together and made a small scalloped edge around the whole blanket. I wanted to try to make a blanket without using granny squares. 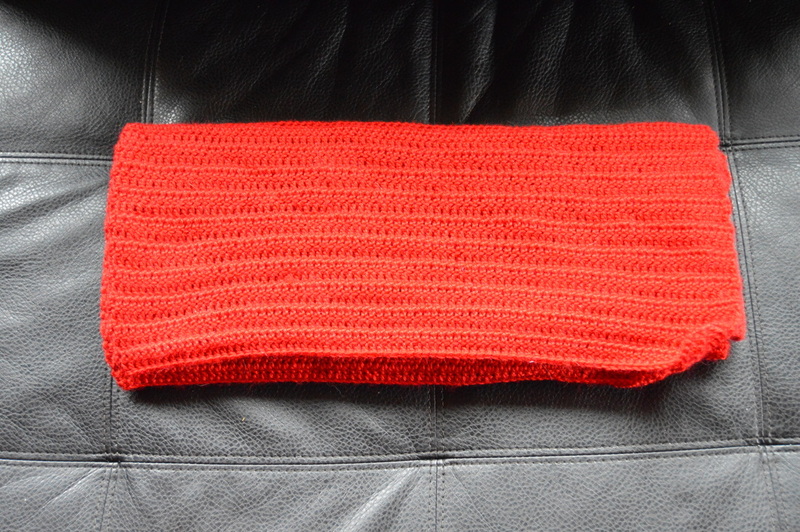 I made this one using a double crochet stitch then did a double ruffle around the edge. I found this really cute free pattern on a website called Repeat Crafter Me. I was nervous making it as I thought it would be too hard for my beginner self, but it was actually really easy! I made the 0-3 month size for Benji! 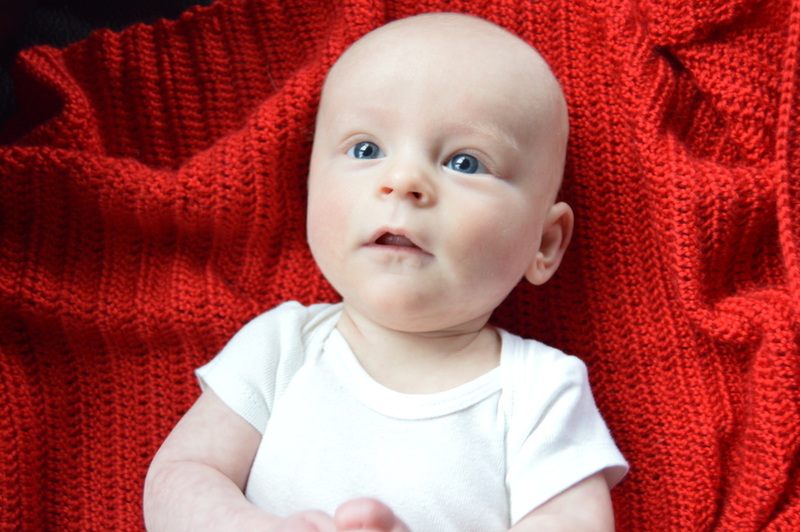 Micah chose the colours for the nursery and he picked red and white! 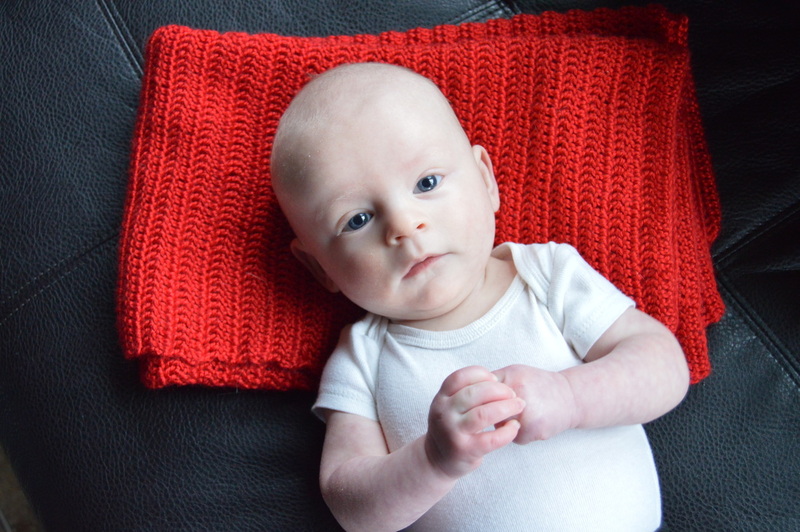 I decided to make a red blanket to match- and I just finally finished it! Another pattern from Repeat Crafter Me! You can find this pattern for free at Repeat Crafter Me. Instead of using white buttons for the eyes I used the eye patch pattern from the puppy hat. Also, Benji has a habit of ripping off his hats! So I added the braided tails to hopefully help!